Anyone who knows television history or has worked in Business Affairs is aware of the monumental change that occurred as a result of the ‘Friends’ cast, who formed a fierce front for their salary demands on the heels of the show’s massive success. Leading the charge was David Schwimmer, who stood to make the most money by comparison to his castmates, given that he and Jennifer Aniston were the breakout stars. The cast quickly agreed with Schwimmer’s kind proposal, and despite massive push-back from the powers that be, they refused to back down, insisting that they all deserved to be paid the same. Matt LeBlanc once recounted that the negotiations got so heated he once had to walk off the set in solidarity with his castmates, who were all receiving their own type of pressure. In Hollywood, almost everyone’s deal is negotiated separately, but people talk, and it’s easier than you’d imagine to find out salaries. And since everyone is connected, it’s even easier for actors to stand united (like the ‘Friends’ cast) in their negotiation demands. Remember when Ellen Pompeo tried to get Patrick Dempsey to unite and he declined? Conversely, Jessica Chastain recently wielded her power on behalf of Octavia Spencer, with Spencer making five times her salary as a result. It therefore stands to reason that West could have done the same. While I don’t blame West for failing to navigate these uncharted waters, the Mark Wahlberg debacle should teach men an important lesson. While fighting for yourself, you can also fight for others, and that includes banding together. 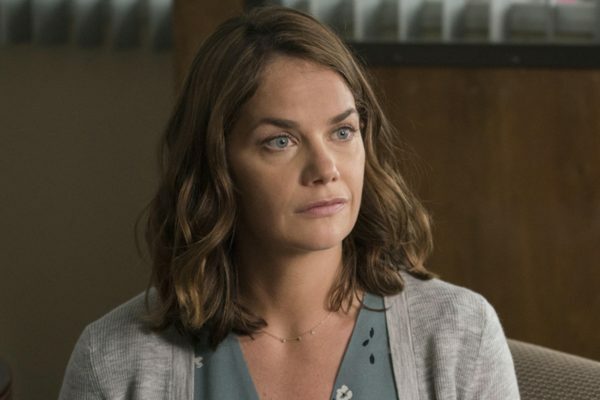 It is now no secret that Ruth Wilson exited ‘The Affair.’ Though no explanation was given, showrunner Sarah Treem made it clear Ruth wanted to leave the show. Contract law would mean she can’t leave unless the studio approved of her exit, which sometimes occurs in this industry because no one wants an unhappy actor on set, regardless of their importance to the show. Connie Britton left ‘Nashville’ before the end of her contact, for example, and by all accounts her exit was amicable. Britton even appeared in a sendoff on the series finale. In the case of ‘The Affair,’ Wilson’s exit seems far less amicable. Wilson recently said she is not allowed to talk about why she chose to leave the show and in response, Showtime released a cryptic and childish statement, saying, “. . . everyone agreed the character’s story had run its course.” That’s a fancy way of implying she was in fact fired. Clearly, Showtime has had enough of Ruth Wilson, and they fought back. Given that this is a Hollywood show with a female showrunner, I find that response to be disappointing. Either be specific or let Ruth Wilson freely speak about her exit. I also find the timing to be even more curious. One can’t help but wonder if this was about pay and if it was, why wasn’t the situation equitably handled to everyone’s satisfaction? Everyone in that cast has equal screen time, so that brings me back to my original point. Why didn’t they stand in solidarity?